Malampaya Foundation Inc. (MFI) has given its support to Wawa Elementary School in Calapan City in Mindoro Oriental, as the school was chosen to be this year’s recipient of its adopt-a-school project under the National Schools Maintenance Week or Brigada Eskwela program of the Department of Education. Jolly Ann Belina, head teacher of Wawa Elementary School, was all praises for the assistance extended by Malampaya, as she admitted that prior to Brigada, there were worries about where to get the funds for the annual activity. The Department of Education implemented the Brigada Eskwela nationwide last May 20-27, and was warmly participated in by education stakeholders who contributed their time, effort and resources in ensuring the readiness of school facilities in June. Belina expressed thanks to the local parent-teachers association, MFI, the alumni, the city’s parole and probation office, army reservists, and to individual volunteers who participated in the activity. This year, MFI distributed schoolbags filled with school supplies to the 261 pupils of Wawa Elementary School. Mothers like Sherlyn Abas and Lorena Luarca, whose children attend grade school and kindergarten, said the school items from Malampaya were a big help to them for the opening of classes this year. Last year’s beneficiary was Silonay Elementary School, also in Calapan, which later received an award from DepEd officials for being a well-maintained school. 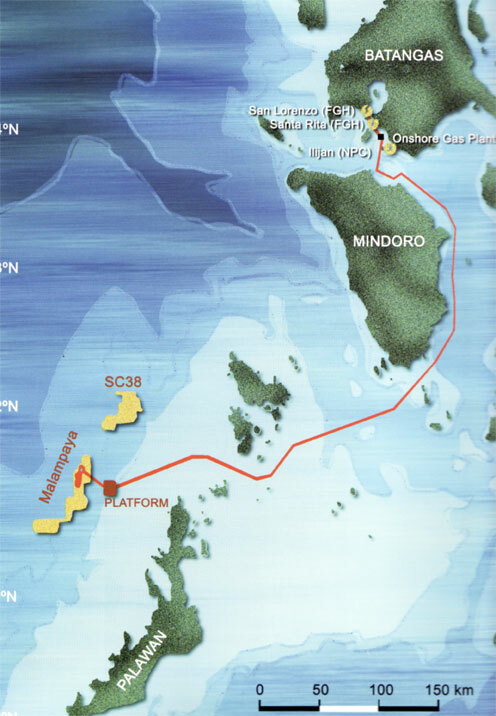 The Malampaya Deep Water Gas-to-Power project is one of the largest and most significant industrial endeavors in Philippine history, heralding the birth of the natural gas industry in the country. A joint undertaking between the Philippine national government and the private sector, the technologically innovative gas project is spearheaded by the Philippine Department of Energy (DOE), and developed and operated by Shell Philippines Exploration B.V. (SPEX) on behalf of joint venture partners Chevron Malampaya LLC and the PNOC Exploration Corporation under Service Contract No. 38 (SC 38). Production of natural gas to fuel three gas-fired power stations with a combined capacity of 2,700 megawatts commenced in October 2001, providing countless benefits to the country, including meeting up to 45% of Luzon’s power generation requirements, reduced oil imports, stable supply of energy and cleaner source of power. Natural gas is the fuel for sustainable growth and development, helping to meet the world’s future energy needs as the cleanest-burning fossil fuel with a globally abundant and diverse supply. SPEX and it’s partners share in the commitment to sustainable social and environmental development in areas where the Malampaya project operates, working with groups and communities in various projects geared towards the betterment of the environment, education, and health.